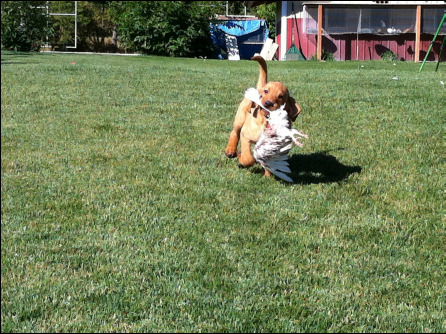 CLICK HERE to see our Facebook page: Morgan's Point Ranch for more puppy updates/photos! 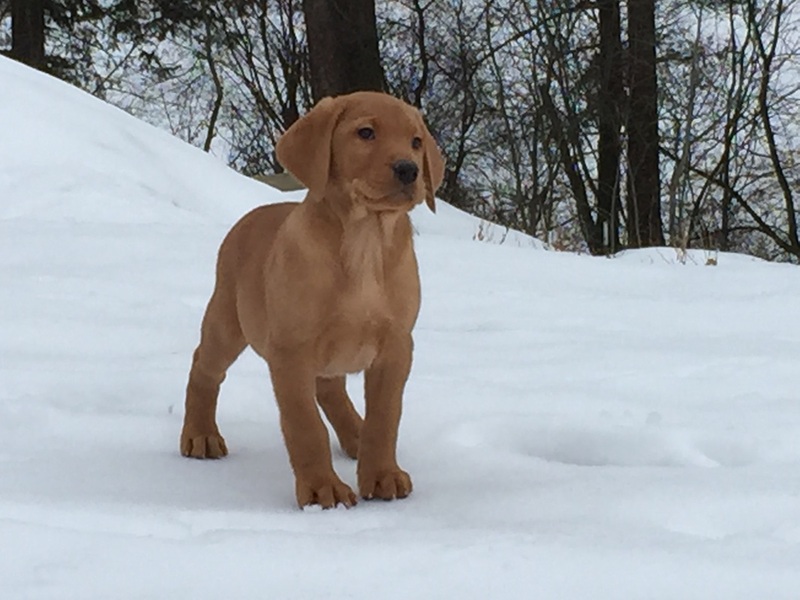 Dixie X Harley female red pointing labs puppies available, born January 15th! Ready to go to new homes the end of March. Taking deposits now! Check them out on our Facebook link, above! 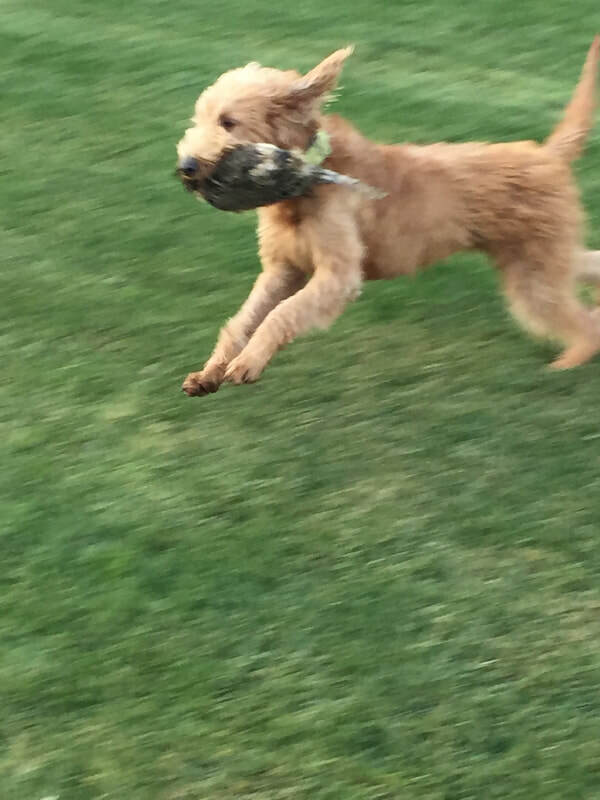 Hannah X Clancy (guest red american hunting labradoodle stud from Oregon) litter of 10 born March 1, 2019! Taking deposits now, will be ready to go to new homes last weekend of April ! 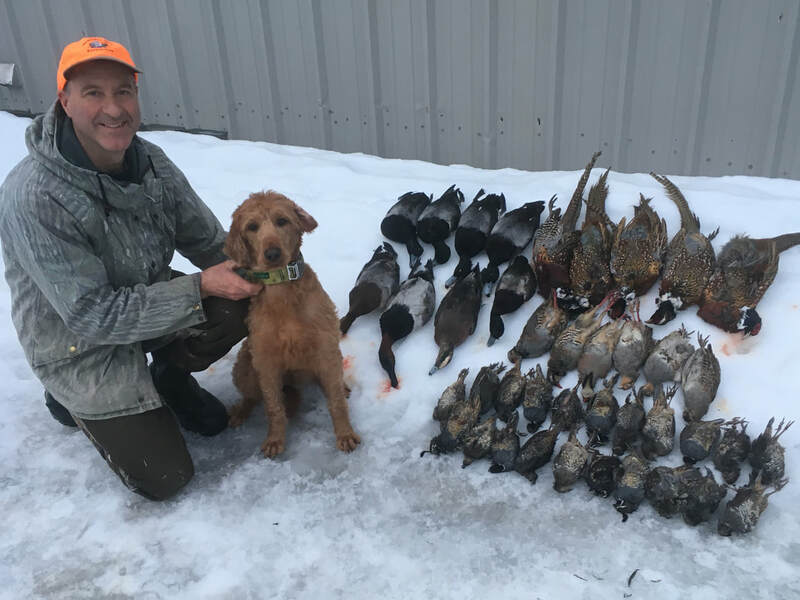 See them at www.bluecreeklabradoodles.com. Piper X Duke breeding beginning of March. Will confirm with ultrasound beginning of April. If pregnant, puppies will be due beginning of May! Non- breeding price for yellow, red or black male and female puppies is $1500. Non-breeding price for Phantom and brindle puppies is $1800. Non-breeding price for Labradoodle puppies is $1800. 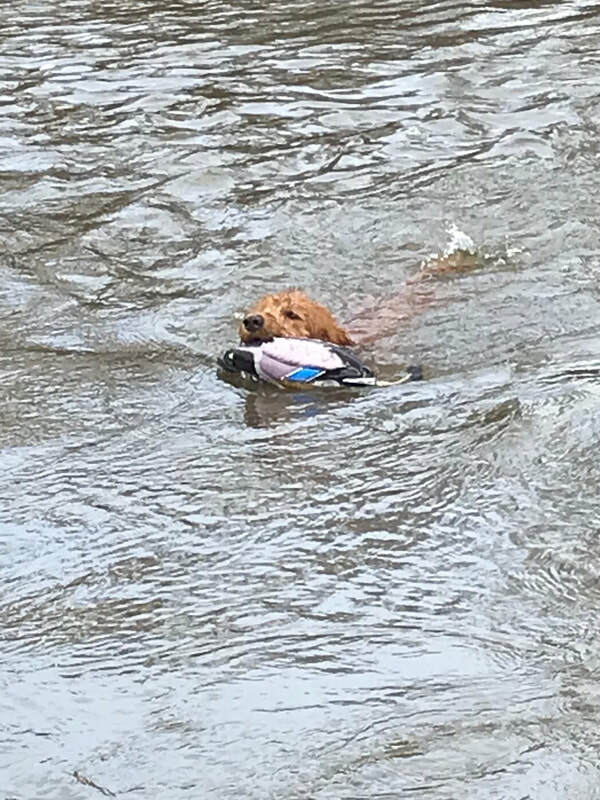 All that being said: once puppies are born we are in safety mode, we protect - probably over protect - but at this point the puppies are your puppies in our keeping! We will do our best to post on our Facebook page to post weekly pictures of puppies. Most of the time, our litters are sold by deposit before the dogs are bred. A $300 deposit is required to reserve your puppy. This will go towards the balance, which is due upon pick up. 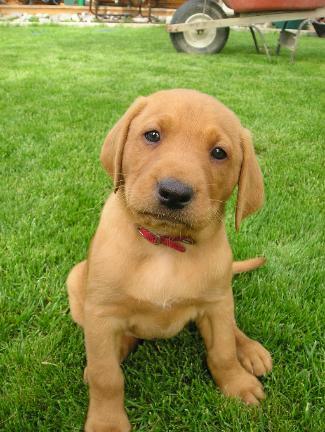 Your deposit is your commitment, and is non refundable unless we do not produce a puppy for you. It is important that you are sure and ready for a puppy. You must choose to deposit on either a male or female. You may switch gender, but only behind other depositors on the list. If a puppy from the litter of your choosing is not produced, then you have the option of full refund of deposit or to move your deposit to another breeding of your choice. We always will reserve first pick of each litter and gender for ourselves. The first pick male and female get to choose their own puppy after us. We will choose for everyone else based upon traits desired by the depositor. We match pups in the order of deposit. Please send a note with your deposit: list the gender you choose and traits in the order of importance. Keep in mind once puppies are born, it is up to you to plan accordingly to pick up your puppy at 8 weeks of age, (we will set the going home date once they are fully weaned). If you choose to fly the puppy via pet cargo after 8 weeks of age, then we will need the balance plus the cost to fly the puppy to you just prior to shipping. We charge $150 for crate, health certificate and transport to the airport, plus the cost of airfare, which varies by airline, but typically is not more than $300. 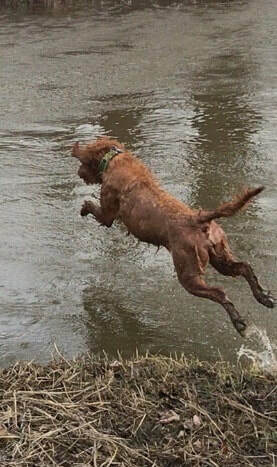 Just a few images of our new favorite dog, Huntin' Hannah, she is half red pointing lab and half red standard poodle! Non-shedding and super athletic, smart and sweet! ​​Ask about our unique Black and Red Phantom and Brindle Pointing Labs! Periodic litters available.